There’s one in every neighborhood. That run-down, hole-in the wall Chinese restaurant in the wrong part of town, with the big stock photographs on the wall of hundreds of different dishes, that all somehow taste the same as every other Chinese restaurant in the area. The one with the dingy tile floors, the hulking television mounted in the corner playing the first “X-Men” movie on a seemingly endless loop. A few formica tables, a water-damaged acoustic tile drop-ceiling, maybe a gigantic fake golden dragon hanging on the wall, almost as an afterthought, or a tattered watercolor print of a Japanese lake, or a few porcelain cats, waving blank-eyed from the corner. There are never any customers, and there seems to be either no waitstaff or sometimes WAAAAAY TOO MANY people on staff, crowded in clusters around the room. The menu prices are almost laughably low, and the place is almost always completely empty, every time your drive by. And yet, it’s been there as long as you can remember, maybe even for decades or longer. You may have wondered how Chinese restaurants like this one stay in business, in an industry where some estimates say the failure rate is close to 60% or more. When most restaurants are doing their quick, back-of-the-envelope budgeting, they aim for a ballpark labor cost of around 30%. This pays for cooks, waitstaff, busboys, bartenders, barbacks, and hosts or hostesses, all of whom receive not just salaries but also state payroll tax withholding, and sometimes even additional benefits including health insurance. Many Chinese restaurants are run on a shoestring staff, with sometimes just one person handling all of the duties in the kitchen, one person out front answering the phone and handing out to-go orders, and MAYBE one additional person to wipe down tables and run out the occasional dine-in order. By their very nature, many Chinese restaurants tend to be “low-service” destinations, meaning that diners visit the restaurant not for the attentive service and atmosphere, but for the inexpensive, quick-service food. This allows many of these types of restaurants to operate on a very limited staff. The few core employees required to run the restaurant are often members of the same family, who may or may not be paid at all. Many “family-run” restaurants operate under a different set of rules and regulations, which allow family members to be paid less than a regular employee, if they are paid at all. In family arrangements, it’s not unusual for workers to waive hourly wages, and share in the overall monthly profits of the restaurant. There’s a reason for the cliche of an older man working the giant flaming woks in the kitchen, with his younger wife working the register, and maybe a few kids (who may or may not be of legal working age) helping at the counter on the weekends or during busy hours; running a Chinese restaurant with this sort of staffing structure is highly efficient and inexpensive. There are…darker explanations for the low-cost staffing at some Chinese restaurants, as well. In recent years, much has been made of the so-called “undocumented worker network” that fuels the staffing needs of many Chinese restaurants in major cities; stories abound of undocumented workers who are smuggled out of China for a price, and then work for years to pay the debts owed to the people that organized their immigration. Some Chinese restaurants are organized as little more than a for-profit illegal immigration service, with dozens of new faces on staff at any given moment, all “working” to pay off their human trafficking masters. We don’t mean to imply for a moment that this is a normal part of the economy for everyday strip mall Chinese restaurants, but it is a factor in some areas. Because many Chinese restaurants are counting on their low prices and quick service to draw you in, rather than elements like “service” or “atmosphere,” overhead for some Chinese restaurants can be much lower than a traditional restaurant. Factors like linen service, liquor licensing and costs, tableware, flatware, and even those little tea light candles, all contribute to cost in a restaurant, and many Chinese restaurants are able to skip many of these details. Even the base rent paid by Chinese restaurants can be lower, than in a more traditional restaurant. 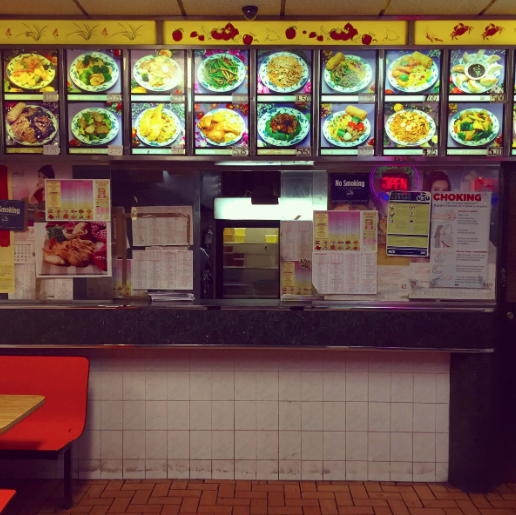 For many Chinese restaurants, up to 80% of the meals sold come from delivery or take-out orders, which makes the location of the restaurant much less important. If customers expect you to come to them, you can rent restaurant space in much dodgier parts of town, since many of your customers will never even see the space. Renting or buying restaurant space in the part of town that nobody wants to visit, helps keep overhead costs extremely low. Some argue that cultural differences in the approach to opening or running a Chinese restaurant are simply different, than for Western entrepreneurs. First is the traditional Chinese approach to incurring debt (and a lot of this is opinion and speculation, so please don’t write me angry emails); Chinese restauranteurs are likelier to open their businesses on a shoestring budget, making changes and improvements as cash flow allows. Compare this with the stereotype of the American restaurant investor, who may take out massive loans to renovate a space, spend a fortune on equipment and decor, or otherwise blow through massive amounts of money before a single dish has been sold. While we’re indulging ourselves in sweeping generalizations about the culture of billions of people, I’ll raise another idea: I think the Chinese approach to the realities of restaurant work may be different than some of their American counterparts. There seems to be less sense among Chinese entrepreneurs that a restaurant is just another job, and that if it doesn’t work out, something else will come along; for many immigrants, the decision to open a restaurant financed entirely from savings or contributions from family creates a situation where failure is not an option. This directly translates into longer hours for less pay, in an effort to sell just one more to-go meal than your competition. The 1980s and 1990s were a dark time for MSG, the food additive that chemically enhances the flavor of anything it touches, and many Chinese restaurants were forced to strike it from their menus and proudly tout their MSG-free preparations on neon signs placed in storefronts nationwide. There’s an enormous bright side to MSG, however, and now that Americans are mostly convinced that no, MSG in food isn’t causing your headaches or your impotence or your hair loss, it’s starting to reappear and be embraced again in Chinese takeout cooking. MSG performs a magical trick on your brain, and makes it think that whatever you’re eating is more protein-rich (and thus delicious) than it actually is. The upside here is that some Chinese restaurants can simplify many of their traditional recipes by adding MSG, which results in fewer ingredients and lower costs. Additionally, most of the flavor in your favorite Chinese restaurant dishes comes from the sauces and seasonings, which allows restaurants to use cheaper, lower-quality ingredients like chicken and beef, without sacrificing the overall taste of a meal. Some Chinese restaurants take this a step further, and use low-cost frozen vegetables, though this will almost always cause a bigger hit in the perceived quality of a restaurant’s food. Sometimes…. You need take out. 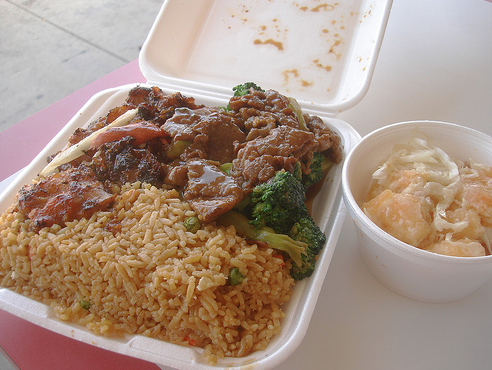 By its very nature, Westernized Chinese takeout is low-cost, high-margin stuff. Think about it for a second: Many of the dishes featured on a Chinese takeout menu are either rice or noodle based, with tons of vegetables, a few deep-fried items, soups that are functionally free to prepare by the gallon, and maybe a shrimp here and there. Bought in bulk, these are mostly low cost foods, that can be combined and recombined in dozens of different ways to make a menu seem much more expansive than it really is. “Chicken and Broccoli” and “Chicken and Mushrooms” are essentially the same dish, but mixing-and-matching ingredients makes the menu seem much more broad. Many Chinese restaurants operate on a “cash only” basis, which also allows for some wildly creative accounting, and among some restaurants, may create opportunities for lucrative side businesses laundering money for your town’s more unsavory elements. Even restaurants that don’t take that step into the criminal underworld, may find that dummying up receipts for things like equipment repairs or huge catering projects does wonders for the balance sheet at tax time. Again, I don’t mean to imply that this is the norm, but it can be a factor for almost any cash-only business. For many, the simple shaving of 3% off of daily operating costs, by saving on credit card transaction fees, makes a “cash only” structure highly lucrative. In conclusion, Chinese restaurants face many of the same challenges as any restaurant; the battle for low overhead and the lowest possible food cost is very real. Chinese restaurants are presented with some advantages in terms of labor cost, location, and ingredient cost, but overall fight as hard as any other restaurant to stay afloat and keep their collective dreams alive. Malcolm Bedell is co-author of the critically acclaimed "Eating in Maine: At Home, On the Town, and On the Road," as well as the junk food-centric "Spork & Barrel" and Brocavore, a blog focusing on street food culture and cooking. His contributions include Serious Eats, Eat Rockland, Down East, L.A. Weekly, Bon Appetit, The Guardian, and The Huffington Post and his food truck, "'Wich, Please," was named "Hottest Restaurant in Maine" for 2015 by Eater. Can You Start a Legit Buffet Business Out of Your House? Can You Sell Home-Cooked Food to the Public?